Scientists have identified 483 phytochemicals in Hemp plants. Many of them, hundreds in fact, are Terpenoids. These are the compounds that give fruits, flowers and herbs many of their desirable aromas, flavours and other special properties. A special sub-class of Terpenoids are the Cannabinoids. There are over 60 of them in Hemp which is the only place they are found. This is one of the many reasons Hemp stands alone in the plant kingdom, it literally is a treasure chest of nutrition without equal. The Cannabinoids each have their own individual properties which is creating plenty of excitement in the scientific community. Besides the Terpenoids and Cannabinoids there are many other vitamins, minerals, phytosterols, pigments, proteins, enzymes, essential sugars, polyphenol antioxidants, flavonoids and essential fatty acids. The oil appears black but it is really a blend of intense colors. It is important to know that while isolated Cannabinoids have their own characteristic properties, the different compounds have synergistic effects when the whole symphony of phytonutrients are consumed together. Synergy means that the combined effect is greater than the sum of the individual parts. The unique health properties of Hemp have been known to modern scientists for over 50 years, so (un)natural, attempts were made to produce synthetic versions of isolated Cannabinoid molecules in an attempt to create pharmaceutical drugs. If health and happiness, not side-effects are what you seek, best stick to real plants. The original design was already perfect to begin with. science has discovered what may be the most exciting one. We are hard-wired with a system of Cannabinoid receptors throughout our brain and body. When these receptors are activated they permit 2-way communication between body systems, something that the science books had previously taught was impossible. This system is called the Endocannabinoid System (ECS) which literally means “the Cannabinoid system inside the body”. By regularly supplying our ECS with the nutrients it was designed for, vital communications can be restored between the control centers of the body and every other system. No one can predict accurately exactly or to what extent a person will be helped with CBD, one thing to know first off is that it will not harm you. It has only been in recent years that scientists have begun to explore and understand what is known as the endocannabinoid system, a complex signaling network within the human body. The cannabis plant is rich in phytonutrients, antioxidants, essential oils and some 80 cannabinoids, the most important of which for our health is Cannabidiol – CBD for short. Without a doubt the richest, most balanced source of CBD in the plant kingdom is found in industrial hemp. The substances in hemp fit like a lock and key to spark and activate those cannabinoid receptors in humans, which in turn then help to regulate the way every body system functions. 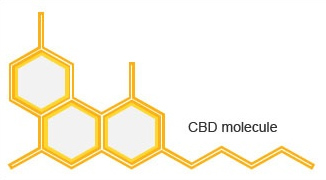 Cannabinoids were patented in 2003 as antioxidants and neuroprotectants by the Department of Health and Human Services of The United States of America (patent # 6,630,507) The abstract of this patent mentions in particular CBD’s use in the treatment of neurodegenerative diseases such as Alzheimer’s, Parkinson’s and HIV dementia. Also touched on are the benefits for ischemic insults such as from strokes. People with all sorts of ailments have found improvement in a wide variety of health conditions involving the brain, the nervous, digestive, immune and cardiovascular systems in particular. 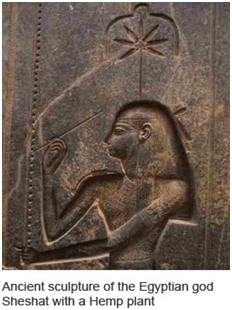 While no promises or guarantees can be made for your particular condition; it is a comfort to know that for over 4,000 years mankind has used cannabinoids for debilitating medical conditions with a positive response. Historical Benefits include: auto immune conditions, seizures and spasms, conditions of stress, depression, and anxiety. Many report pain or analgesic benefits, help with nausea, irregular cells, eye conditions such as glaucoma, and skin conditions like psoriasis and eczema. We would be much further along in the study of conditions helped but for the fact that in the last 70 years scientific testing has been curbed due to the outlawing of both hemp and it’s sister plant cannabis, known derisively as marijuana. Now with the legalization of CBD from hemp in all 50 States and the increasing legalization of medical cannabis, we will begin to see many more medical studies and increased knowledge of how these God given plants can benefit humankind.